The smartphone and tablet market are dominated by Android and iOS devices. No doubt, these will be big parts of the tech inudstry for a long time to come. I can’t help wonder how this will play out long term. Will one OS become the reigning champion as Windows once did or will they remain split? While it pains me to say this, If a champion does emerge in the long term, it looks like Android may be the winner. I personally believe that for the tablet and smartphone world iOS is where it’s at currently. This is mainly because the software is designed around the hardware. This makes the OS less buggy and toutes a better user experience. Not to say that Android doesn’t have it’s benefits, but that’s just my opinion. I’m not going to get into this conversation because this horse has been beatin to death. So where will android pull ahead? It might be an area we’re not expecting: Embedded Products. The reason Android may proliferate in years to come has more to do with non mobile devices. Due to the fact that android is open source, third party vendors can buy cheap open source hardware and load it up with android. This provides a fantastic prototyping platform to create a large number of devices. Some companies are already leveraging Android on products that range from microwaves to car stereos. Like it or not, Android is going to be all around us unless Apple does something about it. Just think about it, Google will know the temperature of our beer fridge someday. 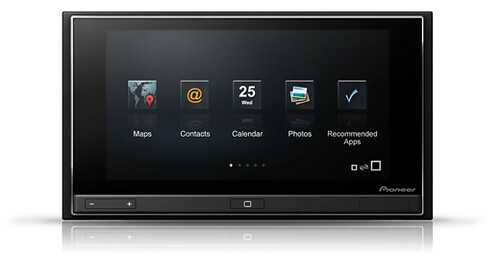 With our homes and cars running on Android, we’ll all be very familiar with the user interface. This would be something Apple doesn’t want. For the sake of simplicity we may all just switch to Android so everything is consistant. You can see how this may be a realm that Apple may not want to ignore. So what can Apple do about it? I say open up their OS for use with approved third party devices in non-competing markets. This kind of solves everything right? Now a consumer could go out and buy a Microwave with either Android or iOS. The playing field would be even and Apple wouldn’t have to invest too much to make it happen. Unless Apple decides they would like to make hundreds of household appliances and other knick-knacks this model could work. Apple would only need to implement some sort of quality control. For the record though, I think a microwave with an OS on it is rediculous. Another technology that may be Apple’s saving grace is low energy bluetooth. Apple sees a world where we can communicate and control all of our devices using our mobile device. This tech is promising and already being used in heart monitors and Nike shoes but the tech is a bit limited. This limitation could hurt it’s practicality. As a self proclaimed “Apple fan boy”, I sure hope Apple figures this out. It would be sad to see Apple fall into obscurity as they once have. Viva La Apple! New iPhone Stuff at CES! Well it’s about that time a year when gaggles of techies gather in a single location to check out the hottest new tech. As a tech nerd, I’ve been following all the sweet iPhone gadgets and I though I would pass along some of what I’ve found. We’ve talked about this case before on this site and I was beginning to wonder if it was ever going to come to fruition. while this case doesn’t look quite as snazzy as the previous prototypes it is still an impressive case none-the-less. Otterbox claimes this case is waterproof, dustproof, drop resistant, and can withstand two tons of crushing force. This case brings out the inner child nerd in all of us. who wouldn’t want to build a Lego empire on the back of their phone? The only problem I see with this is that it’s probably not a good idea to smash your creations when done. Alright, I’m not a huge gamer on my phone, but this thing is pretty cool. This case turns your iPhone into a handheld game console that would make the PSP blush. Definitely one of the best functional cases I have seen. For now that’s All. 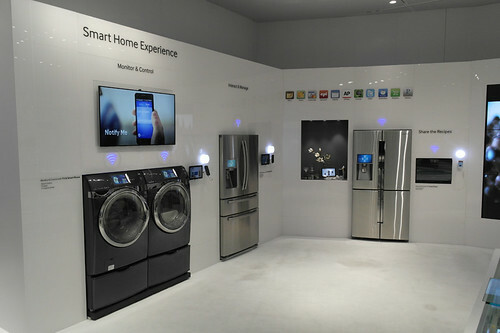 But CES is still rolling and I’m sure there will be more to come. Check back to see the latest updates. More Lego stuff! Now you have the ability to use mind storms with and iPad or an iPhone. There is a special place in my heart for the mind storm family.